I get relaxed just visualizing this 6.5 mile loop. I love the majestic oaks, the shady canyon, the views from Black Mountain (see if you can spot the radar tower on Mount Umunhum), and everything else along the way. I totally discounted this hike in summer until I had a magnificent late August trek here. Yes, the exposed grassland is hot, but the woods are cool, the buckeyes colorful, and I saw a coyote. Pretty but muddy in winter. I love Monte Bello in spring when I spot flowers throughout the grassland and woods. If 6.5 miles feels too far, divide and conquer. For mostly woods, make a loop out of White Oak and Canyon trails. 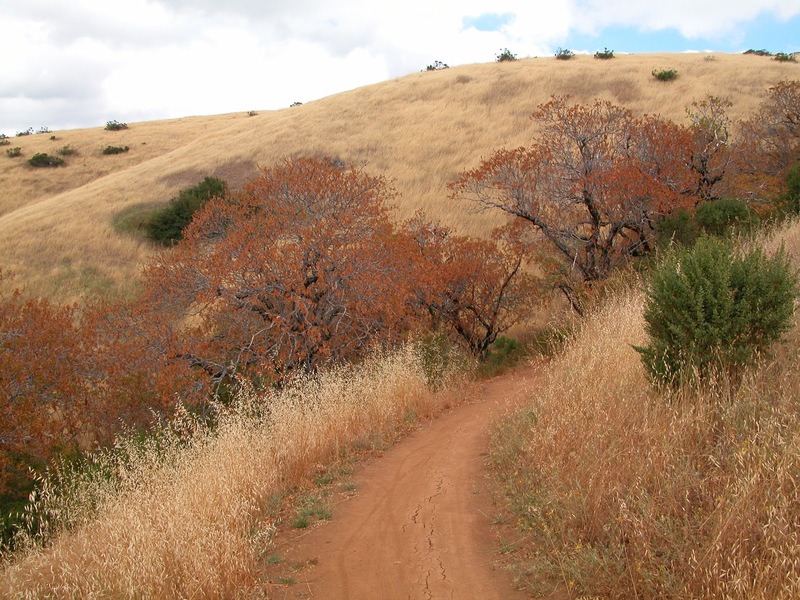 To visit the grassy summit, choose Canyon, Indian Creek, Monte Bello Road, Old Ranch, and Bella Vista trails. Monte Bello is hike number 45 in 60 Hikes in 60 Miles: San Francisco (third edition). Read about this hike on BAHiker. Hike with the locals at Indian Tree Open Space Preserve in Novato. This 5.5 mile loop is mostly wooded and offers a cool refuge on a hot day. If you want to avoid the sunny grassland (the woods are prettier this time of year), string together Big Trees, Ship's Mast, Indian Tree Fire Road, Deer Camp, and Upper Meadow trails. Print out a map before you go, as there are none at the trailhead.